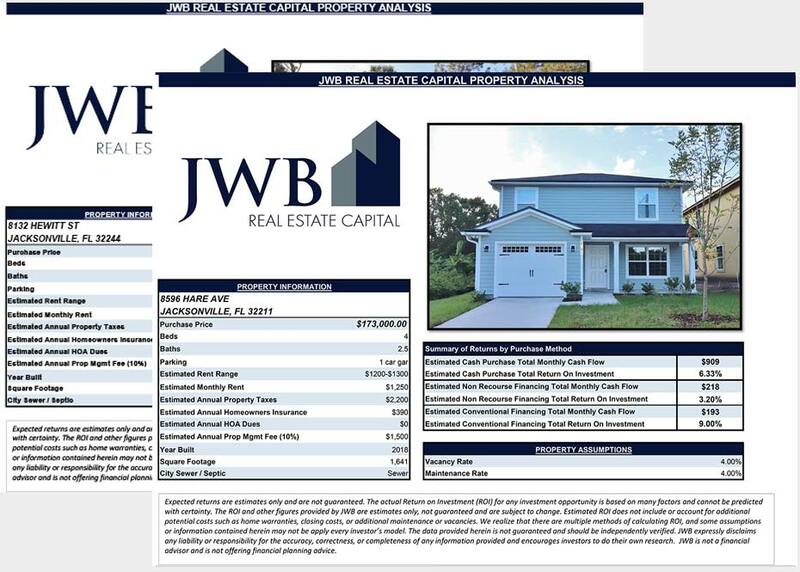 As many of you know, our JWB Real Estate Capital program is built on premier, world-class customer service. When our clients invest with us, they are investing in “The Works” and our ultimate goal is their complete peace of mind as a client. We would be the first ones to tell a potential client that our investment properties are never going to be the cheapest. However, we believe (and as all of our clients will tell you) we present the best overall value for the type of client who enjoys a passive, hands-off investment. Lately though, I’ve had a few discussions about the market values of our properties. And time and time again, a potential investor has asked me about the values that they see on the free real estate websites like Zillow.com. Zillow.com’s values of our properties are all over the place. The vast majority will show that according to zillow.com’s “z-estimate,” the values of our properties are much less than the prices we sell for. My warning to that potential client is this: Beware because you get what you pay for. Zillow.com is a free service that uses a computer model based on incomplete data to come up with an arbitrary “Z-Estimate.” Let me assure you that this estimate has little or no bearing on what the actual value of a property is. 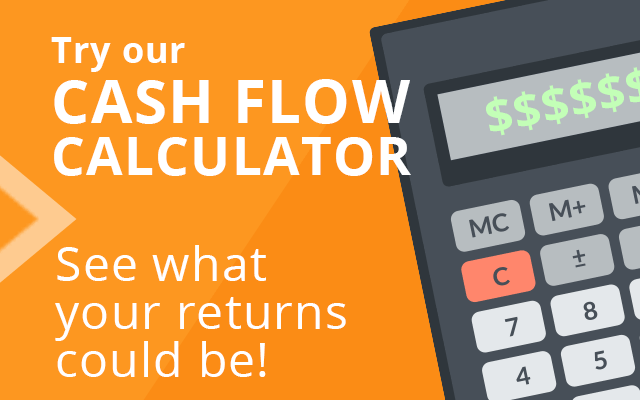 Your Z-Estimate is just as likely to be $30,000 below market value as it is to be $30,000 above market value. And here’s why. When determining the value of a property, you must take into account the condition of the property. It’s irrational to say that a foreclosed property which needs a new roof, kitchen, plumbing, electrical, flooring, paint and appliances is comparable to a beautiful, recently renovated home. But Zillow.com lumps them all together. Foreclosed properties, which sell at pennies on the dollar, are factored in with homes that are selling at the true market value, which causes the overall Z-Estimate to drop for the houses in the area. This is not the way a licensed appraiser would appraise a property. An appraiser is trained to look at comparable properties to determine value. If one house is in shambles and another is full renovated, those two properties are not comparable. One’s value has no bearing on the other. And that’s the difference with any of those free real estate websites. They have no way to determine the condition of the home and, therefore, can’t be trusted to determine value. The only way to determine actual market value is to compare the property to recently closed sales of comparable properties on the Multiple Listing Service (MLS). Not Zillow.com. NEVER Zillow.com. Ask any real estate appraiser and they will laugh when asked if they factor the Z-estimate into their valuations. It just doesn’t matter because the Z-estimate isn’t based on recently sold comparable properties that were listed on the MLS. End of story. Recently, I took a screen shot of Zillow.com’s Z-Estimate of one of our investment properties that closed a couple weeks ago, prior to the actual close. Zillow.com says it’s worth $50,600. The sales price of our investment property is $83,000. It’s important to keep in mind that all financed investment properties must have an independent appraisal in order for the bank to agree to lend on the property. If the value doesn’t come in as high as our sales price, we wouldn’t be able to sell our client the property at the price we agreed upon. Sometimes 2 or even 3 appraisals are required. All of this is required for the deal to close. According to Zillow.com, nearly all of our investment properties in 2011 were priced way over market value. However, our clients have purchased nearly 50 properties so far this year. Many of properties passed 2 independent appraisals, which is the only thing that matters when it comes to property valuations. If Zillow.com’s Z-Estimate was factored at all, those 50 properties would never have sold. Unfortunately, the free real estate websites can be very costly if they cause you to make unwise buying decisions. My recommendation would be to build a relationship with a real estate expert, or team of experts, you can trust. That relationship will get you a whole lot farther than a few clicks on Zillow.com.